Investing in sector equity fund is not for everyone. However, if you find a good and best rated sector equity fund, you can invest with ease. 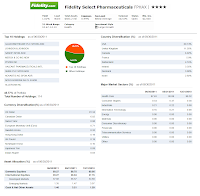 One of the best health sector equity funds is Fidelity Select Pharmacueticals. Details about this Fidelity fund is below. The Fidelity Select Pharmaceuticals fund is seeking capital appreciation. 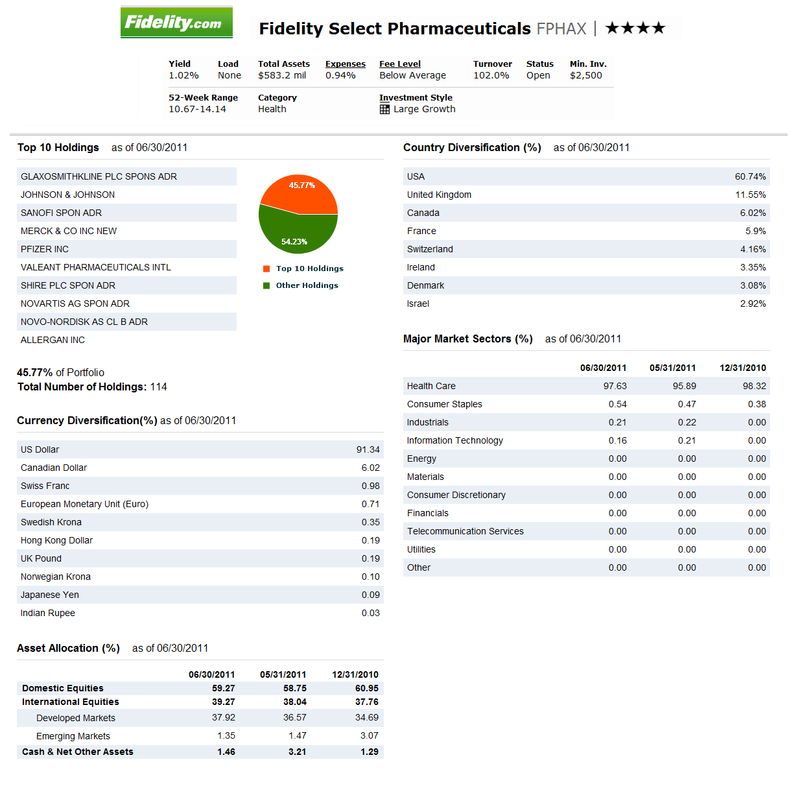 This Fidelity investments fund usually invests majority of assets (>80%) in securities of companies principally engaged in the research, development, manufacture, sale, or distribution of pharmaceuticals and drugs of all types. It may invest in securities of foreign issuers. The fund is non-diversified mutual fund. This Fidelity fund is a no load fund (i.e. there is no sales load), it also has no management fee (i.e. 12b1 fee). The fund’s expense ratio is 0.94% per year. The fund has been managed by Andrew Oh since July 2006. This fund is classified in health category. If you are interested in this fund, the minimum initial investment for brokerage account is $2,500 and only $500 for IRA account. There is no minimum subsequent investment needed. This fund is available to many investors. Investors can purchase this fund through 62 brokerages. Please check with your brokerage account for details about this fund. This fund has a total of 114 holdings as of June 2011. The top ten holdings are Glaxosmithkline Plc Spons Adr, Johnson & Johnson, Sanofi Spon Adr, Merck & Co Inc New, Pfizer Inc, Valeant Pharmaceuticals Intl, Shire Plc Spon Adr, Novartis Ag Spon Adr, Novo-Nordisk As Cl B Adr and Allergan Inc. These ten holdings represent 45.77% of the total portfolio. As of June 2011, the asset allocation of this fund is Domestic Equities (59.27%), International Equities (39.27%) and Cash & Net Other Assets (1.46%). The fund’s major market sectors as of June 2011 are Health Care (97.63%), Consumer Staples (0.54%), Industrials (0.21%) and Information Technology (0.16%).